Take yourself to the next level of style and sophistication with the amazing Crave Vesper. This designer piece is presented in three different finishes of which we are featuring the Rose Gold/Silver 316 Stainless Steel Finish here. The stylish Rose Gold finish on the top and chain bring an air of grace that will fill you with confidence and desire. Take yourself to the next level of style and sophistication with the amazing Crave Vesper. This designer piece is presented in three different finishes of which we are featuring the Rose Gold/Silver 316 Stainless Steel Finish here. 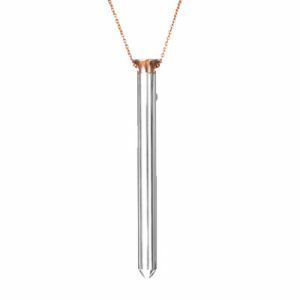 The stylish Rose Gold finish on the top and chain bring an air of grace that will fill you with confidence and desire. 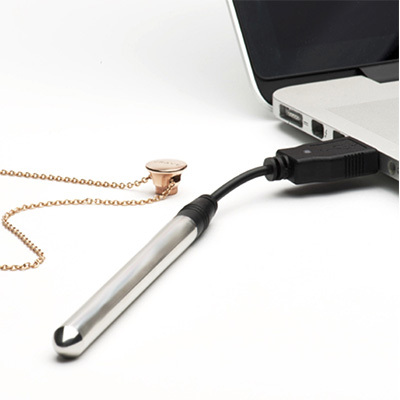 This necklace stimulator is more than just another adult product. 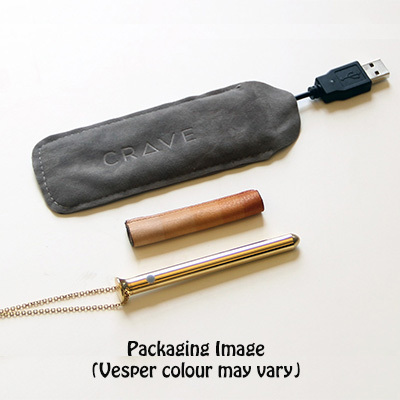 The Crave Vesper comes complete with a 316 Stainless Steel chain which is 66cm (26″) long. 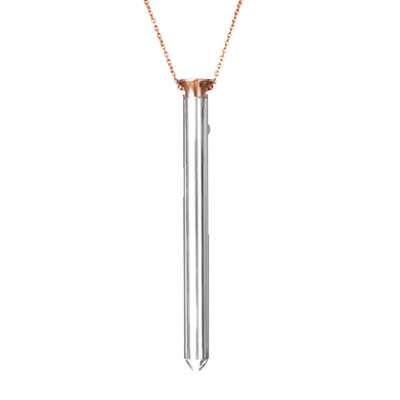 In this case the piece features a Rose Gold Stainless Steel chain. Accessorise your Vesper with your favourite outfit, other only Vesper owners will know. Then have it handy for that perfect timing. The stainless steel body is robust enough to be engraved with anything you may wish. Do this for a special reminder, or personalise a gift. The Crave Vesper is a personal statement of style. 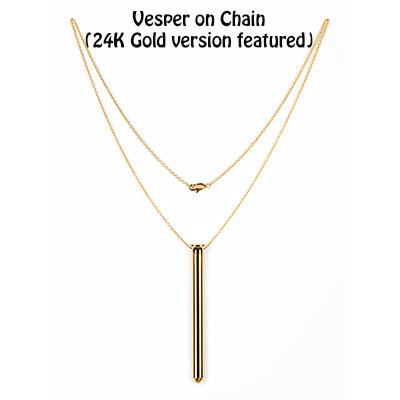 The Vesper Crave is also available in Silver and 24K Gold. Chain - 66cm (26") with Rose Gold finish.